While I've been quite satisfied with the Aquarius Sea Lion, in some situations it has occurred to me that a little more stability would not be a bad thing. I would even be ready to trade a little speed for it. Now, for someone my size the offering of performance kayaks (as opposed to just basic ones) is quite limited. My long legs usually just don't fit. 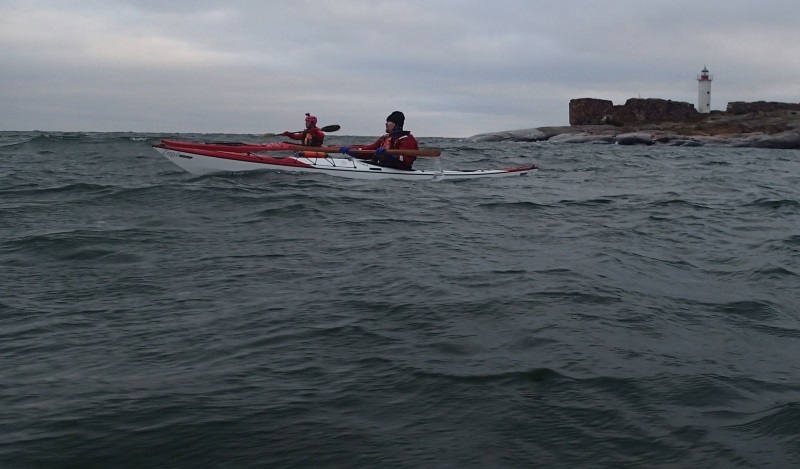 The Sea Lion is an extraordinary kayak in that sense, I fit very well and even someone 30 cm shorter than me can paddle it without any problems. Based on specifications and tests found on the internet I had a (short) list of possible kayaks, of which several were dismissed the second I tried to get into the cockpit. There are still a few of them I haven't tested. but I could get into the Zegul Arrow Play HV easily enough to have a test paddling arranged. I tested it for an hour in September, measuring speed capabilities, testing how it behaved in the available wind (about 8 m/s), checking out maneuverability and rolling and liked it very much. The waves were too small to be of interest, but everything I read said it would be an excellent and fun kayak in bigger waves. A week before Christmas I got one from Melontapiste in Turku. 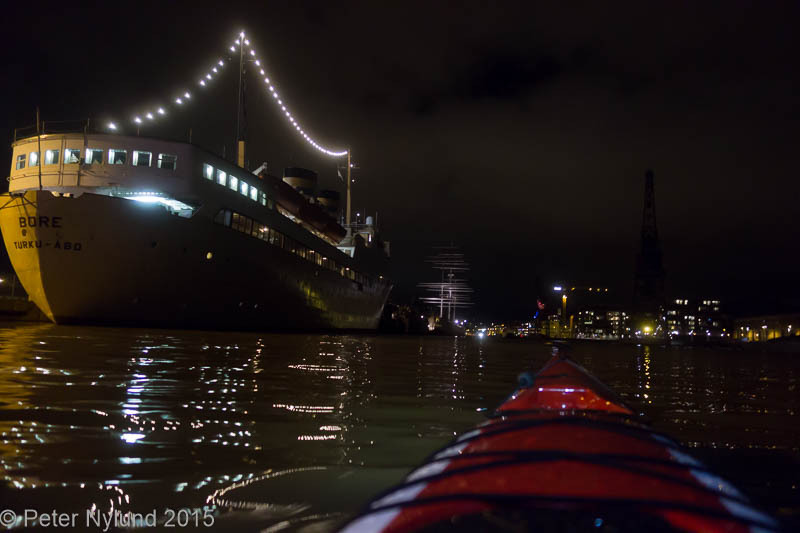 I couldn't resist going out for a little night paddle up the Aura river. Not much to say about the kayak in such a situation, though. 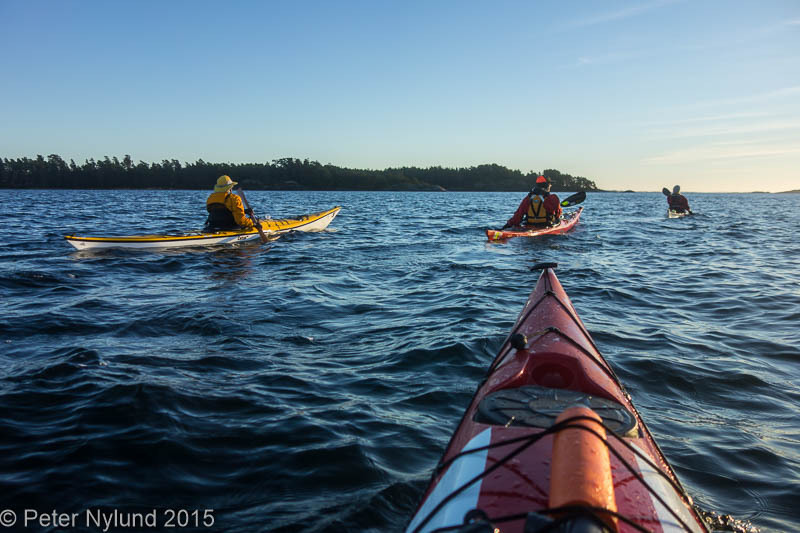 The weekend before Christmas saw excellent weather and I went for a little day trip from Nagu with it. My impressions from the test paddling were confirmed, though I didn't try the wet stuff (rolling etc) this time. The Arrow Play HV is a little slower and does not glide quite as easily as the Sea Lion, but it does ordinary cruising speed (up to 8 km/h) quite well. And I have enough power to paddle shorter sprints faster, which also sometimes is necessary when moving within a group. The maneuverability is about the same, i.e excellent. The stability of the Arrow Play HV is clearly better, both the primary and secondary stability. The Zegul Arrow Play is 11 cm shorter and 2 cm wider than the Aquarius Sea Lion. At 54 cm width it still isn't very wide, but the width is distributed on more length and with the sharp chines running through most of the boat, there is definitely a lot more width in water. The cockpit opening is both wider and longer and now I can actually get in and out rear first and legs later, which does have some significance. 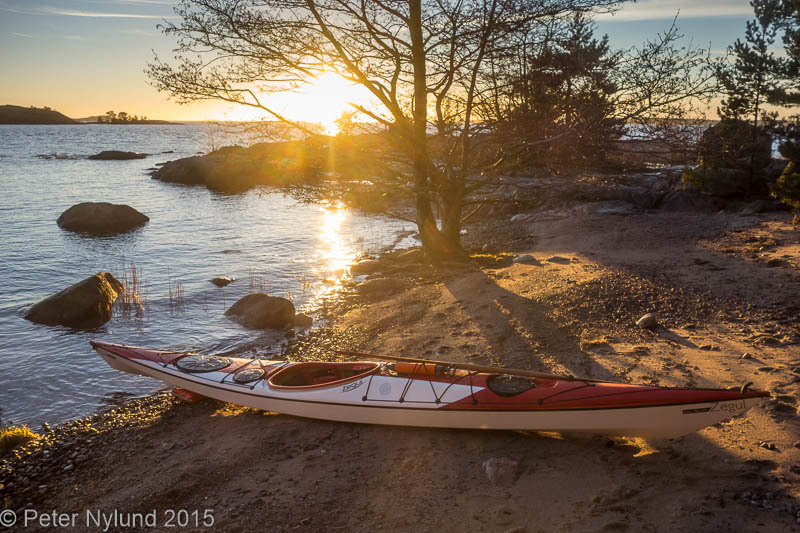 The last paddling session of the season was the Kayakers New Year Party in Hanko, called together by Elba Adventures. The weather was refreshening with -4C and a wind of 9-10 m/s, which would mean cold hands. In addition to the surf zone, there were some waves further out, which gave me a good chance the test the kayak in these circumstances. Photo by Eva-Lotta Backman. The Arrow Play HV seems to do pretty well without using the skeg. The skeg does of course help in some situations, but it is totally possible to paddle even without it. The Arrow Play HV is supposed to be a good surfer, but I don't think it actually is better than the Sea Lion. Both surf well, though. In the surf zone the added stability is a definite plus. 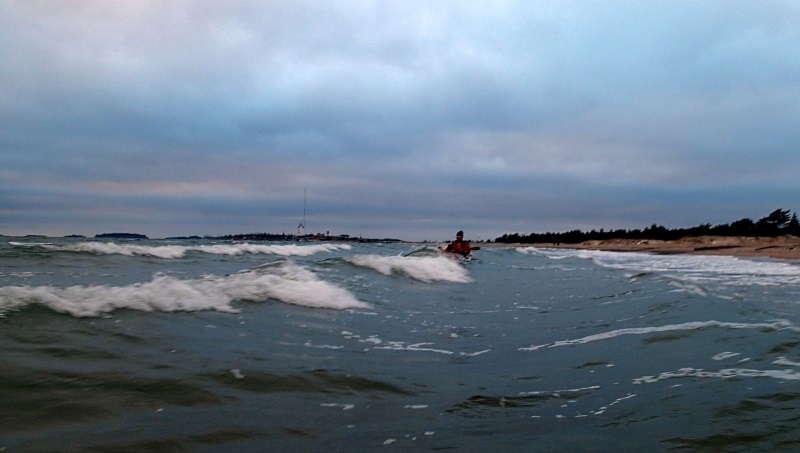 Side surfs are easy, though I need more practice in getting support from the Greenland paddle. 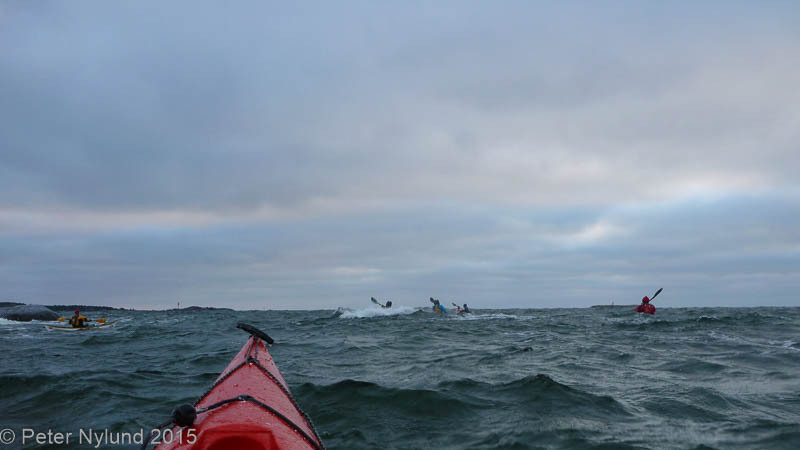 I even capsized once, but it was all fun. Photo by Eva-Lotta Backman. 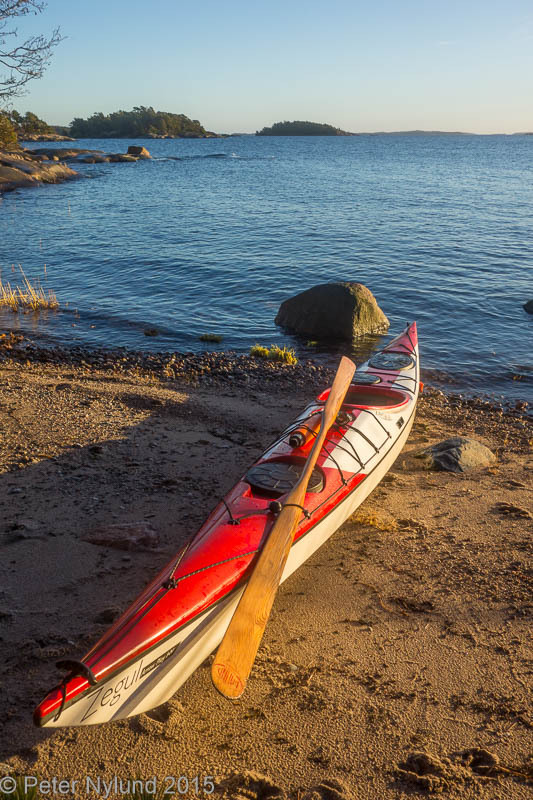 All-in-all, the kayak seem to be the tradeoff I was looking for. More stability for less speed, while the rest of the features being pretty similar.